Ok guys…I’m going to take a break from posting recent sessions to talk a little bit about wedding photo albums. I’m going to be completely honest here. My wedding album was included with our package and I didn’t even order it until my third anniversary. At that point I wasn’t sure if my photographer still had my photos because I never asked her how long she would keep them. Luckily, she still had the photos and was able to make our album. I was so excited to get the final product. My husband and it looked at it that day and then packed it away in storage for years. I did bring it out again for our 10th anniversary to show our kids though! I loved hearing that I looked like a princess because Lord knows I do not look the same as I did 10 years ago. It was fun showing photos of our relatives, some people who they never had the joy of meeting, and how much younger their grandparents looked. After an evening of reminiscing, the album was again packed away. I don’t know when I’ll look at it again. So in between the time I got married and now, I became a wedding photographer. I never pushed clients to order wedding albums because I’m not a salesperson. I want my clients to want an album just like they want my services. If they don’t want it, I’m not going to push it. Because if I am being honest here, do you really need a wedding album? No, you don’t. There, I said it. From someone who does this for a living, you don’t need a wedding album. Recently I have been cleaning out the house of clutter and things that have become meaningless. I was been doing pretty good but still felt like we could stand to get rid of even more. My husband and I, over a delicious homemade chicken enchilada dinner, watched the documentary “Minimalism”. I immediately felt like if we just cleaned the clutter from our small home, we wouldn’t need to move somewhere larger. I felt motivated to make our home really work for us which means we would have to renovate the kitchen and finish our basement into an extra living space. My husband says I didn’t completely get the point of the documentary and maybe he’s right. But what I did take away from it was that we definitely need to stop buying the meaningless junk that piles up in our home. I may be good at getting rid of things, but I absolutely contribute to filling up those empty spaces with more finds from my beloved Target! The documentary also got me thinking about what is truly important to me. The next day I started digging through my closet and bedside table and really asked myself what I wanted to keep or what I felt a connection with. I quickly filled up two garbage bags of clothes and other items to go to goodwill. What ended up staying, and what will always stay, are my photographs, albums, and of course my wedding album. Have you ever noticed how wedding albums always make it through? Many years after my husband’s parents passed away we were given their wedding album. We don’t have much to remember his parents but having this small symbol of their marriage was so significant. A good friend of mine was helping her grandmother move into an assisted living facility where she unfortunately couldn’t bring most of her belongings. Her wedding album, of all the things from her life, remained as one of the most important. After pulling it out of its storage space, her family gathered to go through the pages and reminisce with gram. 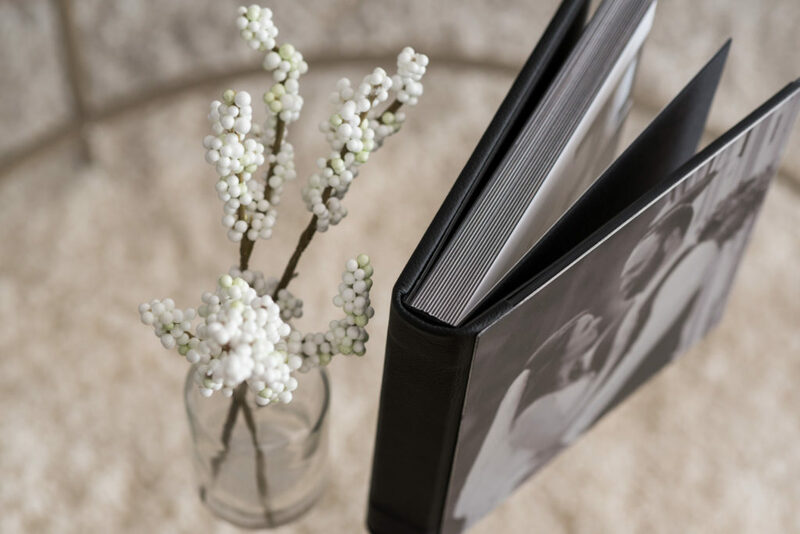 Many times, wedding albums are all that remain at the end of your days or when the time comes to downsize. When grandchildren and other family are saving the things from your life, the wedding album is always a keeper. When photos are saved, they are the wedding photos. The wedding photos are eventually what sum up your life. So would a wedding album bring value to your life? Use your album as an heirloom and make it the most beautiful thing you own, next to your marriage. 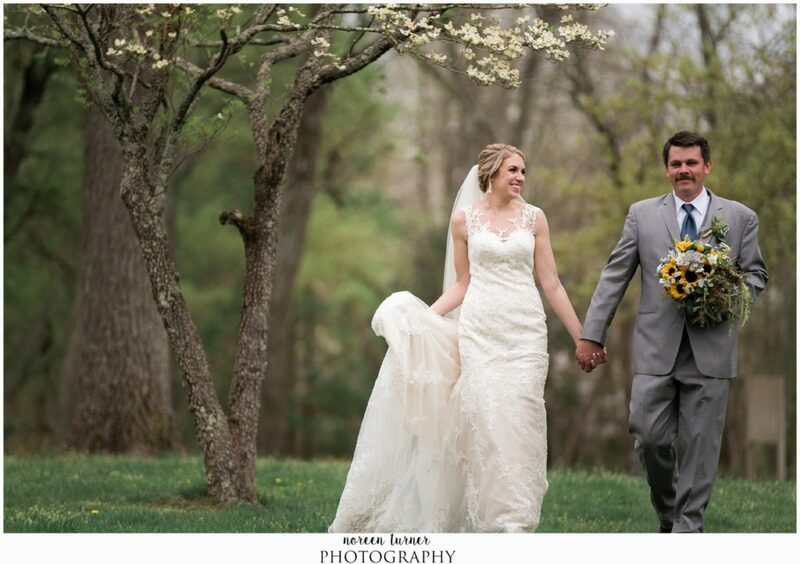 Noreen Turner Photography is a boutique photography studio located in Riverton, NJ. We specialize in Philadelphia weddings and engagements but also work in South Jersey, Bucks County, and Delaware. To book your wedding with Noreen Turner Photography please head over the website and complete the inquiry form or check out the portfolio.